Television personality Arie Luyendyk Jr. poses in the press room at the iHeartRadio Music Festival at the MGM Grand Garden Arena September 21, 2012 in Las Vegas, Nevada. On Sunday, April Fool's Day and Easter, "The Bachelor" star Arie Luyendyk Jr. posted on Twitter and Instagram Stories a photo of a woman sporting a baby bump, writing, "Secrets finally out, we have a bunny in the oven! @laurenburnham91." He followed it up by writing, "APRIL FOOL'S!" Many people interpreted his photo as an April Fool's joke even before he shared his second post and slammed Arie for being insensitive and even cruel toward women and couples struggling with infertility. "With the number of people who struggle to get pregnant/miscarry, you post this s---" @meaghannotmegan tweeted. "You of all people should understand this is a gross joke to make." "Come on. Be better than that," @kedixo tweeted. "It's not a joke for many struggling families to get pregnant, it's extremely expensive and it's heartbreaking. 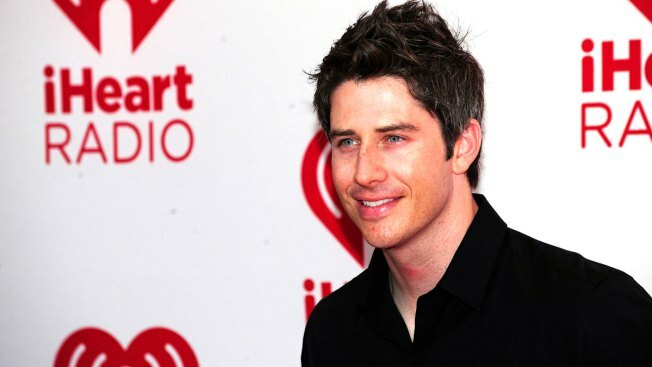 I wish nothing but the best for Arie and Lauren but this is not funny, it's cruel." Luyendyk and his reality star fiancee Lauren Burnham, to whom he proposed on "The Bachelor," have not commented. In 2015, "Bachelorette" star Catherine Giudici Lowe sparked similar anger after posting a similar photo. She later said her post was "intended to be lighthearted and fun and certainly not insensitive," adding, "My heart goes out to all the women struggling with fertility." She and husband Sean Lowe welcomed their first child, son Samuel, a year later. Catherine is currently pregnant with their second baby.